The browser was in beta testing phase, but it can now be downloaded by all. It comes with Continue for PC option which allows users to surf on Windows 10 and resume the same session on their mobile devices. Microsoft’s Edge browser on Android and iOS has moved out of beta and is now available for download by all. The app was announced for mobile devices back in October and it sports some of the features found on its Windows counterpart like Reading List, New Tab Page, Favorites, and more. The Edge browser for mobile comes with the ‘Continue on PC’ feature, the most notable of all its functions. It allows users to close current tabs on their Windows 10 PCs (Fall creators update) and continue the same browsing session on their mobile devices. It also features Data Sync and Reading View features. The former syncs a user’s favorites and reading lists across devices, whereas the latter removes all the unwanted elements in a webpage to leave only the text and images for a better reading experience. The app comes with an inbuilt QR Code reader and can also perform a voice search. Microsoft recently said it will introduce a new tabbed interface called ‘Sets’ in its upcoming Windows 10 Insider Program build. The feature allows users to group similar tasks such as apps, documents, and websites together, in a single window. 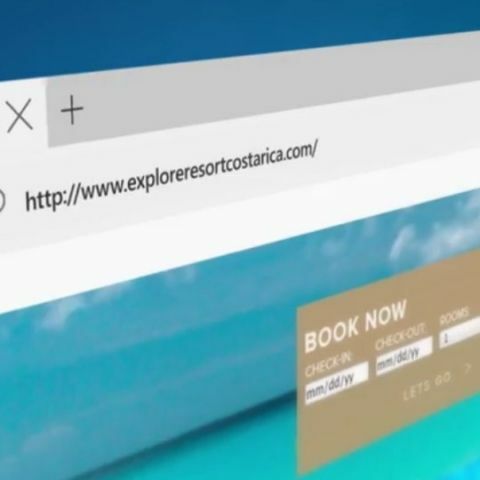 Microsoft also demonstrated Sets in a preview video which shows how a user can easily use the feature to launch a new tab or jump to one, all while working within the same window. The company will initially test the new Sets interface with a small group of Windows 10 testers in the coming weeks for initial feedback before releasing it for all Windows 10 testers.